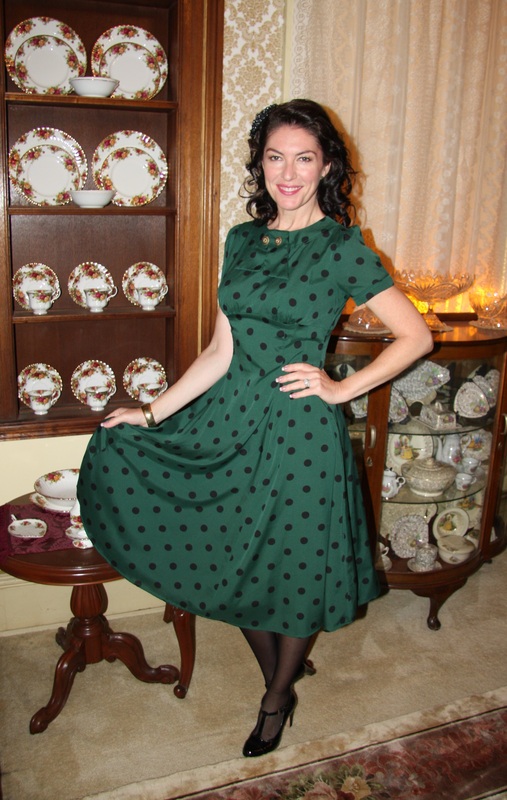 Outfit: 1940s inspired dress in hunter green with black polkadots featuring neck tie, button trim and full skirt. Shoes: Black patent T bar heels. Hair: Curled and worn down, with a black and white chiffon rosette clip. Accessories: Black seamed stockings, gold and emerald stud earrings, gold and black stone costume clamper bracelet.